This article analyzes the global causes of the contemporary crisis and the possibilities to eliminate the most acute problems that have generated this crisis. It analyzes both the negative role of the world financial flows and their important positive functions including the ‘insurance’ of social guaranties at the global scale. Оn the one hand, anarchic and extremely rapid development of new financial centers and financial flows contributed to the outbreak of the global financial-economic crisis. The latter was amplified by the non-transparency of many financial instruments, which led to the actual concealment of risks and their global underestimation. On the other hand, new financial technologies decrease risks in a rather effective way, they expand possibilities to attract and accumulate enormous capitals, actors, and markets. The modern financial sector also contributes to the provision of insurance for social funds at the global scale. The participation of pension and insurance funds in financial operations leads to the globalization of the social sphere. Countries poor in capital, but with large cohorts of young population, are involved more and more in a very important (though not quite apparent) process of supporting the elderly portion of the population in the West through the vigorous unification of the world's financial flows, their standardization, and by increasing global mobility and anonymity. Keywords:global crisis, global financial system, financial revolution, financial technologies, pension funds, social funds, medium-length economic cycles, Juglar cycles, international order. The global crisis that has somehow sobered down (at least for some time) those who believed that in this century global development would proceed without crises, appears to be fading away (though the threat of one more wave of crisis does not seem to have disappeared entirely). The world economy in general has moved from the phase of recession to the phase of depression, and there seem to appear some indications suggesting certain movement toward the recovery phase. This implies that we can look at the causes (as well as proximate and ultimate consequences) of the deepest (within the last 75 years) economic crisis in a way somehow different from that of one and a half year ago. The history of economic crises suggests that each of them was connected with the type of relationships within the World System.1 However, the strongest crises also changed in a rather significant way the World System structure, the connecting lines of this system. The current global financial-economic crisis is also likely to contribute to the beginning of the process of major changes in the World System structure and functioning, as well as in the principles of the international relations in the forthcoming decades. In the present article we analyze the global causes of the contemporary crisis and both the negative role of the world financial flows and their important positive functions including the ‘insurance’ of social guaranties at the global scale. Our next article in the second issue of this journal will be devoted to the analysis of probable future transformations in connection with the crisis and to estimating the probabilities of various scenarios in the development of the World System during the forthcoming decades. The growth and deepening of financial-economic globalization has led to the unprecedented development of a number of countries and regions in the last decade (see e.g., Maddison 2007, 2010; World Bank 2010); yet, it has also caused some crises. That is why the current crisis may be considered as the reverse side of globalization (see Grinin 2008). It is quite natural that the causes and character of the current crisis will be a subject of attentive research for quite a long time. However, it is quite evident that the main factors causing the crisis have not disappeared. Also many problems have been just temporarily dampened by an unprecedented pumping of funds that can be only justified as an extraordinary measure that can worsen the situation in the future. That is why there are some grounds to expect in the near future (within 3–5 years) a new outburst of the crisis. In the meantime, there is a considerable probability that the strongest manifestations of the crisis will be felt most distinctly in the fast growing Asian economies that have suffered rather moderately from the current crisis. Similar situations, with a similar asynchrony during the strongest crises with respect to Europe and North America, were observed to occur in the late 19th century and the early 20th century (see e.g., Lescure 1907; Tugan-Baranovsky 1954, 2008 ). The occurrence of major changes in the global division of labor between countries is associated with the most important causes of the crisis.2 One of the most salient points here is that the countries of the World System center (especially the UK and USA) have developed their financial sector in the most active way.3 In the meantime the semiperipheral countries have been developing more actively the ‘real economy’. As a result, within Western economies the GDP share produced by the financial sector reaches between a quarter and a third of the total GDP, exceeding the share produced by industry. In general, within the world economy (due to the West's ability to accumulate the world capitals, as well as due to the formation and diffusion of new financial technologies) the financial sector has been growing faster than the other sectors over the last three decades. As a result of this, the financial sector has been transformed from a sector serving the economy, to a sector producing the main vector of its development; thus it has become a sector where an immense share of added value is produced. Such a division of labor has a number of important consequences. Western countries become not only the world capital accumulation center, they also become net importers of capitals. In these countries one can observe a phenomenon of deindustrialization. On the contrary, one can observe a fast industrial growth in the semiperipheral countries.4 This has appreciably contributed to the development of the situation when the growth rates in such developing economies – e.g., the ones of the BRIC and some other semiperipheral countries – are significantly higher than in the West. In the semiperipheral countries one can observe an especially fast growth of the exporting sectors, whereas the USA and some other core countries become more and more a world center of consumption whose demand determines to a considerable extent the prosperity of semiperipheral and peripheral economies. Thus, in general we can observe the decline of the role of the West as an industrial-economic center of the World System; on the other hand, this is accompanied by the growth of its importance as an importer of commodities and capitals; correspondingly, the economic role of the semiperiphery (in general, and certain semiperipheral centers, in particular) grows; yet, their economy becomes more and more dependent on the ability of the West to consume. The consumption economy has become an imperative not only for the West, but for the World System as a whole (see e.g., Wolf 2005). An anarchic and extremely rapid development of new financial centers, financial currents and technologies (that has secured a fast growth of the financial sector) has also contributed in an extremely significant way to the genesis of the global financial-economic crisis. Their negative role has been amplified by the lack of transparency with respect to many financial instruments and institutes, which led to the actual obscuring of risks and to the general underestimation of global risk (Kudrin 2009: 9–10; see also Suetin 2009; Grigoriev and Salikhov 2008). It should be noted that the aspiration for risk (which is usually characterized as a positive quality feature of an entrepreneur's psychology) should be reconsidered in conditions of globalization. If financiers (and finally other businessmen) consider the whole world to be a sphere for possible investment, and thus, given this condition, risks are counted in trillions of dollars, then to risk or not to risk stops being just a question of personal choice for individual entrepreneurs and firms. An adventurous inclination for risk (whose consequences could produce a fatal influence on the whole global economy) becomes a very dangerous feature. Consequently, it becomes necessary to control activities of such global entrepreneurs (for more detail on the crisis psychology see Grinin 2009b). 2. Why have classical features of previous economic crises been manifested in the current crisis? The global causes of the contemporary crisis have led to an unexpected effect – we observe within it some classical features of the cyclical crises of the 19th and early 20th centuries that appeared to have been eliminated. Crises in their classical form (as unexpected and even unexplainable economic collapses occurring against the backdrop of unprecedented florescence, growth of profits and prices) were typical for that period of time. Later, in the second half of the 20th century (in a direct connection with an active countercyclical interference of the state) the cyclical crises became much weaker and less pronounced. Let us recollect that medium-length economic cycles with a characteristic period of 7–11 years (that go through the upswing phase turning into the overheating subphase, and ending with a crisis/collapse/recession and depression) are also known as Juglar cycles.5 Such cycles were typically characterized by fast (sometimes even explosive) booms (that implied a great strain on the economic system) followed by even faster collapses. The period of upswing followed by boom and overheating was accompanied (a) by a fast and inadequate growth of prices of raw materials and real estate objects; (b) by an excessive demand for credit funds and investment expansion beyond any reasonable limits; (c) by outbursts of speculations with commodity and stock assets; (d) by enormous increase in risky operations. All these are vivid features of the Juglar cycle that were described many times in studies produced by representatives of various schools of economic thought (see e.g., Juglar 1862, 1889; Lescure 1907; Tugan-Baranovsky 1954, 2008 ; Marx 1993 [1893, 1894]; Mendelson 1959–1964; Hilferding 1981 ; Keynes 1936; Hicks 1946 ; Minsky 2005; Samuelson and Nordhaus 2005, 2009; Haberler 1964 ; see also Grinin, Korotayev, and Malkov 2010; Grinin and Korotayev 2010). All of these features have been observed in the current crisis. Our analysis has also demonstrated that almost always at the upswing phase some new financial technology (or some new type of financial assets6) acquires a special significance (on the appearance of new financial technologies during new economic cycles see Grinin and Korotayev 2010). Abrupt transitions from booms to collapses were connected with spontaneous economic development that was regulated by market forces and almost nothing else, as state interference into the economic development was not sufficient. Under these conditions (against the background of the presence of gold standard) acute crises became inevitable.7 Karl Marx had already considered the anarchic character of development inherent in a capitalist economy (against the background of the economic agents' urge towards the expansion of supply) as the main cause of the economic crises. As a result of the Great Depression the role of the state in regulating the economy changed. Due to various direct and indirect ways to influence the macroeconomic framework of national economic development it became possible for the state to minimize dramatic distortions of booms and busts.8 As a result, the crises became much less pronounced than before. However, the global causes of the current crisis have made those Keynesian monetary methods of economic regulation (that are effective at the scale of a single country) ineffective at the global level. The world economy is being transformed into a single system, but technologies of the countercyclical management at the World System scale have not yet been worked out. Nation-states wage a tense competition for higher growth rates (and the question of possible limitation of those rates is not even discussed). Respectively, in the absence of the necessary level of control, the features of anarchic and arrhythmic development of non-regulated market economy become more and more salient at the World System level. This implies a certain systemic similarity between the functioning of unregulated national economy and the one of the modern global economy. We believe that this similarity accounts for the recurrence of some features of cyclical crises of the earlier epoch (see Grinin 2009a, 2009c; Grinin and Korotayev 2010; Grinin, Korotayev, and Malkov 2010 for more detail). 1. In many respects subjects of the international economy (because of a lack of development in the financial regulation of international law) behave in a similarly uncontrolled and anarchic manner as was observed earlier with respect to subjects of a national market (i.e., because of lack of development in economic regulation of national law). As they use floating courses of exchange in their accounts, this leads inevitably to sharp distortions in international trade, devaluations, defaults, bankruptcies, etc. 2. The urge of states and major corporations to attain maximum growth rates in the absence of any effective macroeconomic limitations leads, at the level of the world economy and world financial system, to consequences that are analogous to the ones that were produced by uncontrollable growth and competition for market share in the capitalist economies of the 19th and early 20th centuries: overheating, ‘bubbles’, and collapse. 3. In recent decades, the movements of capitals between countries have become free (e.g., Held et al. 1999; Held and McGrew 2003); that is, they are rather weakly regulated by national law and are hardly regulated at all by international law. This causes enormous impetuous movements of capitals that lead to very rapid upswings in some places and later, with crises, to sharp declines. 4. The development of the modern economy not only has been accompanied by the formation of new financial technologies but it has started to produce more and more added value precisely in the financial sphere (as financial services). This led to a sharp increase in the financial component of the crisis (in comparison with earlier decades when the main growth was observed in industry). 3. Financial speculation: does it have a positive side? The activities of modern financial corporations and funds (which lead to the uncontrolled growth of financial assets and anarchy in their movements) are quite justly criticized (this point will be discussed below; see also Grinin 2008, 2009a, 2009c; Grinin and Korotayev 2010). However, it would not be correct to maintain that modern financial technologies are fundamentally deleterious, that they only lead the world economy to various troubles, that they are only beneficial to the financiers and speculators. On the contrary, both the formation and the current development of the financial sector are connected with the performance of very important functions – and just at the global scale. · Due to enormous growth in the volumes of operations, we observe the emergence of possibilities to extract profits from such operations, from which it was impossible to extract any profits earlier. Thus, a firm could earn just 3 cents from re-selling one share, but it may re-sell millions of such shares every day – and what is more, it may re-sell the same shares dozens of times within the same day (see Callahan 2002).13 One may compare this with the industrial concentration of low-grade ores, whose processing was not profitable before the invention of respective technologies. 4. Financial currents as the world pension fund? However, as a result of the rejection of the golden standard the function of savings' protection moved finally from an ‘independent’ guarantor (i.e., precious metals) to the state.15 However, there was no state left, on which the capital owners could rely entirely as they could on a perfectly secure guarantor. One should add to this, the growth of inflation that especially bothered the West in the 1970s and 1980s. One should note that it was during the 1960s and 1970s that the volume of ‘social capitals’ in the direct sense (i.e., various pension, social, insurance funds, including the medical insurance funds) grew very significantly in direct connection with active social legislation, the growth of the quality of life, and some demographic processes (first of all, the coming to age of the numerous baby-boom generation). There were some other important sources for the growth of capitals in the 1970s and 1980s, in addition to the above-mentioned ones. The general volume of capitals also grew due to the petrodollars, the increase in the emission of stocks, and borrowing (including the sovereign borrowing).16 In general, since that time one may observe the process of rapid growth of the volume of free capitals that should be invested somewhere. The actual abandonment of the gold standard led to the transformation of not only the world monetary system, but also to the transformation of the financial economy and all financial technology. The sharp increase in the quantity of capitals, the necessity to preserve them from inflation and to find their profitable application objectively pushed the financial market actors to look for new forms of financial activities. As a result, one could observe the start of the process of rapid growth of the volumes of financial operations, the number of financial assets, objects, instruments, and products. Some new instruments were already available at that time, and it became possible to apply them rapidly on a wide scale (see Grinin 2009а, 2009c; Grinin and Korotayev 2010 for more detail). A factor that contributed greatly to all these was nothing else but the information-computer revolution that occurred simultaneously with the financial revolution and that gave it a solid material basis. Thus, in contrast with precious metals (that retained their value even if they were not invested in anything) the modern capitals do not have such an anchor; no fortune can be accumulated in a monetary form without the serious risk of a rather fast loss of a substantial part of its value (see e.g., Movchan 2010: 49). That is why if capitals just lie still (as gold in treasuries), they risk to degrade gradually into ‘dust’. What are the possible sources of their preservation and growth – and, hence, what are the possibilities of the fulfillment of respective financial obligations (as well as social obligations connected with them)? The additional importance of the world finances' functions – with respect to the preservation and multiplication of savings in pension, insurance, and social funds – is amplified every year by a very significant (and, in some sense, global) process of the finalization of the second phase of demographic transition in Western countries and Japan (see e.g., Korotayev, Malkov, and Khaltourina 2006). It is well known that as a result of this process the natural population growth rates declined in those countries to values that are close or even below zero; depopulation began in a number of developed countries, a rather rapid population aging is observed, whereas the proportion of pensioners in total population tends to increase in a rather dramatic way.18 The forecasts suggest a further acceleration of this process. In 2010 one can observe 1 pensioner per 4 working-age adults, whereas in 2025, according to forecasts, there will be less than 3 working-age adult per pensioner in the developed countries (National Intelligence Council 2008), and there are even more pessimistic forecasts (see e.g., Meliantsev 2009: 30).19 Who will be filling the pension funds in the future, who will fulfill the social obligations with respect to hundreds of millions of elderly voters? Note meanwhile that, in addition to the overall growth of the number of pensioners, one can also observe simultaneously the increase in volume, complexity, and value of respective obligations (in particular, health care services). Indeed, within such a context, against the background of the slow down of the economic growth in the West and the threatening growth of state debts in many developed countries, the guarantees of pension (and other social insurance) payments do not look perfectly secure. Here one should take into account that most pension funds are concentrated not in the state pension funds, but in thousand of private (non-state) pension funds that are very active as regards the search for the most secure and profitable investments. The amounts of money concentrated in pension funds are enormous. At the world scale they are counted in dozens of trillion dollars. Note that we are dealing here not with some financial derivatives or bad debts, but, in general, with honestly earned money accumulated over the three to five decades that constitute a working life. Thus, according to some calculations, the volume of the American pension funds can be estimated for the moment of the start of the world financial crisis as about 10 trillion US dollars (Shtefan 2008). The crisis led to tangible losses and even bankruptcies of many of those funds. How to make the preservation of those resources secure? It is easy to see, that security is a rather relative notion. The best shares can suddenly turn out to be insecure, the same goes with respect to the apparently best shares, real estate, and even state obligations. In 2008 the Russian State Pension Fund lost 10 billion roubles because of drop in rate of these obligations (Naumov 2008). It seems that within a single developed country it becomes more and more difficult to achieve a sufficient level of the security of pension funds. In the meantime in the developing countries we observe enormous numbers of young adults; and it is extremely difficult to provide all of them with jobs and education. It is impossible to solve this task without an active integration of the peripheral economies into the World System economy, without the diffusion of capitals and technologies from the World System core, whereas such an integration cannot be achieved without the development of the world financial system. In the meantime the number of pensioners in the developing countries is still relatively small, the social obligations with respect to them are relatively low, and only after a significant period of time the problem of the pensioners' support will become acute in those countries. Against this background, the world monetary resources have already begun to take part in solving this social problem (though, naturally, they are unable to solve it completely). It appears that the redistribution of capitals throughout the whole world and the distribution of risks through investments in the diverse assets of developing countries (through numerous mediators and specialized funds) actually creates for the borrowers/recipients from the developing countries (i.e., those countries with a high proportion of young adults in their population) financial obligations that multiply the invested capitals within rather long periods of time. And those multiplied capitals will be potentially used for the payment of pensions and other social obligations in the creditor countries.20 The developing countries are very interested in attracting capitals that create jobs for the numerous cohorts of young adults. A considerable part of requested capitals come from pension, insurance, and social funds of the developed countries. In other words, to some extent the young adults of India, Indonesia, Brazil, or Egypt will be working indirectly to support the elderly population of the core countries. In other words, global finances not only integrate capitals of the various regions of the world, they also contribute to the solution of an extremely important social problem22 – to support the numerous elderly population of the core countries. Within such a context one can foresee a situation when a failure of one country would be regarded as a common failure. Actually, this outruns (and prepares) political and legal globalization in some very important respects. Such interweaving of interests (as soon as it becomes evident) will make the actors move more actively toward the institutionalization of some financial and social relationships, toward a more rigorous control of financial currents, toward the full security of financial technologies. Today many specialists see that the main current problems of the world stock markets stem from the defects of their regulatory system (see e.g., Doronin 2003: 129–130 for an analysis of their views), though many specialists (if not most of them, at least in the United States) still believe that the problems of stock and financial markets stem from defects and imperfections of the national (rather than supranational) regulation systems. One should admit that the United States has derived some conclusions from their crisis experience; in particular, the American actors have started discussing (and taking) measures aimed at tighter regulation. They have also begun cleaning bad and ‘toxic’ debts. All these are important developments, especially taking into account the special and enormous global influence of American financial institutions and instruments. The World Monetary Fund has more opportunities to affect global economy now as a result of the increase in its credit resources. However, there are strong doubts that the World Monetary Fund will be able to move significantly toward its own transformation into a sort of ‘World Central Bank’ though such suppositions are sometimes made (see e.g., Zotin 2010). The world experience demonstrates that the new principles (which should also serve as a basis for the new world financial system) do not develop from or as a result of those institutions which have already realized their functions. These, more established institutions are hardly liable to such a radical transformation. Particularly risky financial products must be prohibited. At present, if one invents a new financial instrument, he can offer it to his clients the next day. For example, an inventor of a new derivative is not obliged to register it in any state agency; he can start selling it immediately. Free market proponents believe that financial markets will regulate everything themselves, that they will sort out and discard bad products by themselves. In reality this does not happen. Banks and funds threw ‘toxic waste’ amounting to trillions of dollars to the market, and meanwhile they diffused a belief that one can produce really valuable stocks from a large number of dubious assets, whereas nobody felt being responsible for all this. But if the market cannot take responsibility upon itself, it should be assumed by the state. Financial corporations must be obliged to register in advance all the financial products that they invent (similarly to what is observed with the production of medicines in the pharmaceutical industry). A state agency should anticipatorily check and test all the financial instruments before banks get their right to sell them. And if those instruments turn out to be too dangerous, the agency should prohibit them (Schäfer 2009: 279–280). State agencies controlling financial markets should subdivide rating agencies in such a way that a part of them would calculate ratings, whereas the other part would provide consulting services to banks. In the meantime, rating agencies and their clients should publish all the information that has been used to calculate the rating. In this case, any other rating agency will be able to check the ascribed rating and to publish an alternative calculation if it does not agree (Ibid. : 280). It is not difficult to see that this citation (with an important exception in the last section) is addressed to the national government. However, though the role of national regulation still remains very important, we observe now such a situation in the financial markets that a single state (in contrast with the previous period) cannot cope with it. Thus, as finances internationalize more and more, respective measures should be taken at the supranational level. The transformation of the international order starts to be discussed in an especially urgent way when the world is shaken by global crises. Hence, it is not surprising that the concepts of the ‘revision of the world order’ (e.g., Tinbergen 1976) emerged just in 1970scrisis years. The crises of 1969–1971, monetary crises of 1971–1973, but especially the 1973–1975 crisis were indeed periods of economic chaos without any entirely comparable precedents in the post-war era (Ibid.). This stimulated the development of new ideologies of global development; particularly with respect to the relationship between developed and developing countries or sustainable development. Many of the questions posed in this period (as well as many recommendations worked out at that time) remain rather valid today. People living in any epoch always believe that their epoch with its reforms and crises is the most unique. Still we do not think that it is an exaggeration to say that the current global crisis has demonstrated, in an especially salient way, the necessity for major changes in the regulation of international economic activities and movements of world financial currents. These changes would include the need for the growth of coordinated actions by governments and unified international legislation regulating financial activities and movements. Actually, the world needs a new system of financial-economic regulation at the global scale. Comprehension of the causes of the crisis may provide a push to start a new round of global transformations, but the respective path (to effective transformations) appears rather long. However, even the transition to the very initial phase of a new system of supranational-national regulation will imply rather profound changes (whereas many transformations can hardly be predicted today). The point that the political landscape and the balance of world power will change in the forthcoming decades is felt more and more strongly. American analysts believe that ‘the international system – as constructed following the Second World War – will be almost unrecognizable by 2025… The transformation is being fueled by a globalizing economy, marked by an historic shift of relative wealth and economic power from West to East, and by the increasing weight of new players – especially China and India’ (National Intelligence Council 2008: 1). The variations of probable future transformations in connection with the crisis and estimations of the probabilities of various scenarios of the World System development in the forthcoming decades will be presented in our second paper titled ‘The Coming Epoch of New Coalitions’. Among the problems which are analyzed in this paper are the following: Will there be a leader in the future World System? Will the deficit of global governance and world fragmentation increase? How could national sovereignty be transformed? We would like to express our deep gratitude to Julia Zinkina for her invaluable help with the preparation of this article. 1 The world-system approach originated in the 1960s and 1970s due to the work by Fernand Braudel, Andre Gunder Frank, Immanuel Wallerstein, Samir Amin, and Giovanni Arrighi (Braudel 1973; Frank 1990, 1993; Frank and Gills 1993; Wallerstein 1987; Chase-Dunn and Hall 1994, 1997; Arrighi and Silver 1999; Amin et al. 2006). The term World System/world-system is used rather widely and not by world-system analysts only. For more detail on the history and contents of ‘the World System’ notion see Grinin and Korotayev 2009a: 9–19; 2009b. 2 For more detail on the causes of the crisis, as well as on the development of new financial technologies see Grinin 2008, 2009а, 2009c; Grinin and Korotayev 2010; Grinin, Korotayev, and Malkov 2010. 3 The World System core countries may be identified as the high income OECD countries that include 24 out of 30 members of this organization and that produce 60 % of all the world GDP. 4 Some analysts maintain that relative wealth is flowing now from the World System center to its semiperiphery (National Intelligence Council 2008), however, the opposite view is more wide-spread. 5 They were denoted as Juglar cycles after Clément Juglar (1819–1905), who was one of the first to demonstrate the periodical, regular, cyclical character of economic crises; though a number of economists (including Karl Marx) studied the economic cycles simultaneously with Juglar. 6 In the 19th century for some time this role was played by railway shares whose use made it possible on a number of occasions to expand dramatically credit and speculation, overheating the economy. 7 Thus, with the overexpansion of credit and the swelling of financial assets the amount of money substitutes (shares, promissory notes, bonds, etc.) expanded enormously (numerous proponents of the important role of supernormal credit belong to the so-called Austrian school, e.g. Mises 1981 ; Hayek 1931, 1933). As a result, with the decrease of trust in those stocks a sudden demand for gold and cash grew so dramatically that it was able to crash the whole banking system (see e.g., Tooke 1838–1857;Evans 1969 ;Juglar 1862, 1889; Lescure 1907; Tugan-Baranovsky 1954, 2008 ). 8 It became possible to put speculation under some control. For example, after the Great Depression in the USA, the Glass-Steagall Act was passed, forbidding banks, investment firms and insurance companies to speculate at stock exchanges (see: Lan 1976; Samuelson and Nordhaus 2005, 2009; Suetin 2009: 41). In 1999 in the USA the law on financial services modernization was passed, which annulled the Glass-Steagall Act that was in force for more than 60 years (see: Suetin 2009: 41). As a basis for introducing the law on financial services modernization, it has been claimed that American credit organizations are inferior to foreign rivals, especially European and Japanese ‘universal banks’ which were not subject to such limitations (Greenspan 2007). 9This is similar to the situation with a wholesale purchase of a large batch of any standard commodity when the buyer has no need to examine every particular piece. 10However, the expansion of the operations' volume and their acceleration create a threat of global financial collapses. 11 The Foreign Exchange Market (FOREX) is the most famous among them. 12 This is similar to the growth of the number of commodity producers with the growth of the network of units selling and servicing respective commodities. 13 It is quite natural that this is most relevant for the upswing phases, whereas this is observed to a much smaller (but not zero) degree during recessions. 14 We believe that the trend toward the maximum standardization of the contract conditions has consequences that are similar to the ones produced by the standardization in manufacturing: in both cases the use of standards expands the sphere of the use of respective technologies and products by an order of magnitude. 15 Naturally, the value of gold and silver could fluctuate. One can easily recollect the so-called price revolution of the 16th century, as a result of which the prices grew four times (e.g., Goldstone 1988, 1991). But there has never been a single case when gold or silver lost their value momentously, or when their prices dropped close to zero (this eventually happens with prices of shares), whereas in the 19th and early 20th centuries (when many states applied the gold standard [Held et al.1999]) the value of money was sometimes surprisingly stable for long periods of time (the same is true for prices of many key commodities), and this allowed many people to live from the interest rates of their savings. It made it possible to rely on savings in the form of gold/silver coins to guarantee one's survival in old age or for any emergencies. Incidentally, this was a very important basis for the development of thriftiness. Today prices of precious metals are as unstable as the ones of any other assets, and the magnitude of their fluctuations is great. 16 Many years later some other sources were added to these; for example, the so called state investment funds (national development funds) that accumulated resources obtained by states through some superprofits (stemming, for example, from the exportation of oil) and invested them in financial markets abroad. At present a few dozen of states have such funds (National Intelligence Council 2008). 17 One should take into account that pension funds, insurance companies etc. act as institutional investors and owners within many corporations that invest in numerous stocks and projects; this way the finances of the world have been so mixed up that it is difficult to comprehend whom exactly these particular funds belong to, whether they are ‘good’, or ‘toxic’. 18 It is not coincidental that one of the main concerns of Alan Greenspan (about which he writes in his book ) is connected with the point that the numerous generation of baby-boomers will become pensioners soon, whereas the extant financial sources are not sufficient for the complete fulfillment of social obligations with respect to them. 19 The dramatic change of the ratio of pensioners to the working age adults may be illustrated with the following data: in 1950 in the USA the ratio of pensioners to working age adults was 1:16 while in mid-2000s it was 1:3, i.e. it had changed fivefold (Meliantsev 2009: 30). 20 One may recall how the financial obligations of the USA (that had been forming for a very long period of time to fund various private projects) became quite unexpectedly an additional factor for the victory of the creditor countries of the Triple Entente in World War I. This was a large debt of the USA with respect to France and Britain that made it possible for them to get vitally important supplies in return for the redemption of that debt (through rather complex financial schemes). 21 This may resemble the situation in Britain in the early 20th century when the revenues derived from the export of capitals helped to sustain a high level of life against the background of falling industrial growth rates. In this period the revenues derived from lands, houses, state loans, foreign and colonial loans constituted just a bit less than a half of all the taxable national income (Tugan-Baranovsky 2008 : 321). 22 Note that this problem is apparently internal from the viewpoint of a single country; however, it becomes more and more difficult to solve it in the framework of a single country. 23 The importance of accounting for useful functions (including social ones) of global money should warn us against various extremist statements such as ‘working in a bank does not deserve to be excessively well-paid … the society should not allow for people to become wealthy only because of their re-distributing financial means’ (from an interview with an eminent French economist Jacques Attali – see Bykov et al. 2009: 103). All these recall hundred year-old declarations that capitalists do not perform useful functions in production. Indeed, as soon as the interest in enrichment through financial operations disappears, who will risk their capitals? And what will happen to them? However, this does not deny the necessity of accurate and consistent limitation of the extremes of speculations and excessive enrichments. And in this respect some ideas of Jacques Attali (in particular, his suggestion about a ‘new, this time global, Glass-Steagall Act’ [ibid.]) look rather interesting. 24 As is well known, in many Western countries high taxes provoked a vigorous growth of the number of those who try to avoid regulations, as well as an increase in the number of off-shore safe havens (see e.g., Cassard 1994: 22–28; Zorome 2007: 24–25; Platonova et al. 2009). The G20 London meeting evidenced rather active speeches (especially on the part of Germany and France) against the off-shores. Indeed, a few resolutions aimed against them were taken, some countries (but not all the relevant countries) found themselves in a black list of states putting obstacles in the way to the international control over the tax havens. However, with economic recovery, the anti-off-shore thrust is likely to weaken, especially taking into consideration the point that some G20 countries (e.g., China and Britain) are interested in some off-shores (Bykov et al. 2009: 101). There were also declarations regarding such things as the necessity to tie salaries of the managers of investment banks to mid and long range results. One should also note the pressure to reduce bank secrecy (see e.g., Fokin 2010), though this cannot be regarded as a purely positive development. Amin, S., Arrighi, G., Frank, A. G., and Wallerstein, I. 2006. Transforming the Revolution: Social Movements andthe World-System. Delhi: Aakar. Arrighi, G., and Silver, B. J. 1999. Chaos and Governance in the Modern World System. Minneapolis: University of Minnesota Press. 1973. Capitalism and Material Life, 1400–1800. New York: Harper and Row. 2009. The World after London. Expert 13(652): 100–103. In Russian (Быков, П. и др. Мир после Лондона. Эксперт13: 100–103). 2002. Financial Economics for Real People. Paper presented at the ‘Boom, Bust, and Future’ Seminar at Ludwig von Mises Institute, January 18–19. Auburn. 1994. The Role of Offshore Centers in International Financial Intermediation. Washington, D.C.: IMF (IMF Working Paper 94/107). Chase-Dunn, C., and Hall, T. D.
1994. The Historical Evolution of World-Systems. Sociological Inquiry 64: 257–280. 1997. Rise and Demise: Comparing World-Systems. Boulder, CO: Westview Press. 2003. The World Stock Markets. In Korolyov, I. S. (ed. ), The World Economy: Global Trends for One Hundred Years (pp. 101–133). Moscow: Economist. In Russian (Доро- нин, И. Г. Мировые фондовые рынки. Мировая экономика: глобальные тенденции за 100 лет / ред. И. С. Королев, c. 101–133. М.: Экономистъ, 2003). 1969 . The History of the Commercial Crisis, 1857–58 and the Stock Exchange Panic of 1859. New York, NY: B. Franklin. 2010. The Hide-and-Seek at the Summit Level. RBK. The Final Issue 1: 72–75. In Russian (Фокин, В. Прятки на высшем уровне. РБК. Итоговый выпуск № 1: 72–75). 1990. A Theoretical Introduction to 5,000 Years of World System History. Review 13/2: 155–248. 1993. The Bronze Age World System and its Cycles. Current Anthropology 34: 383–413. 1993. The World System: Five Hundred Years of Five Thousand? London: Routledge. 1988. East and West in the Seventeenth Century: political crises in Stuart England, Ottoman Turkey and Ming China. Comparative Studies in Society and History 30: 103–142. 1991. Revolution and Rebellion in the Early Modern World. Berkeley, CA: University of California Press. 2007. The Age of Turbulence: Adventures in a New World. London: Penguin. Grigoriev, L., and Salikhov, M.
2008. Financial Crisis – 2008: Entering the World Recession. Voprosy ekonomiki 12: 27–45. In Russian (Григорьев, Л., Салихов, М. 2008. Финансовый кризис – 2008: вхождение в мировую рецессию. Вопросы экономики 12: 27–45). 2008. Unwanted Child of Globalization. The Remarks on the Crisis. Vek globalizatsii 2: 46–53. In Russian (Гринин, Л. Е. Нежеланное дитя глобализации. Заметки о кризисе. Векглобализации 2: 46–53). 2009а. The Global Crisis as a Crisis of Overproduction of Money. Filosofia i obschestvo 1: 5–32. In Russian (Гринин, Л. Е. Глобальный кризис как кризис перепроизводства денег. Философияиобщество1: 5–32). 2009b. The Psychology of Economic Crises. Istoricheskaya psikhologia i sotsiologia istorii 2: 75–99. InRussian(Гринин, Л. Е. Психология экономических кризисов. Историческая психология и социология истории 2: 75–99). 2009c. The Present Crisis: New Traits and a Classic of the Genre. Istoria i sovremennost' 1: 3–32. InRussian(Гринин, Л. Е. Современный кризис: новые черты и классика жанра. История и современность 1: 3–32). 2009a. Social Macroevolution: The Genesis and Transformation of the World System. Moscow: LIBROCOM. InRussian(Гринин, Л. Е., Коротаев, А. В. Социальная макроэволюция: Генезис и трансформации Мир-Системы. М.: ЛИБРОКОМ). 2009b. Social Macroevolution: Growth of the World System Integrity and a System of Phase Transitions. World Futures 65/7: 477–506. 2010. Global Crisis in Retrospect: A Brief History of Rises and Crises; From Lycurgus to Alan Greenspan. Moscow: LIBROCOM. InRussian(Гринин, Л. Е., Коротаев, А. В. Глобальный кризис в ретроспективе: Краткая история подъемов и кризисов: от Ликурга до Алана Гринспена. М.: ЛИБРОКОМ). Grinin, L. E., Korotayev, A. V., and Malkov, S. Yu. 2010. A Mathematical Model of Juglar Cycles and the Current Global Crisis. History & Mathematics: Processes and Models / Ed. by L. Grinin, A. Korotayev and A. Tausch. Moscow: LIBROCOM (in print). 1964 . Prosperity and Depression. Theoretical Analysis of Cyclical Movements. Cambridge, MA: Harvard University Press. 1931. Prices and Production. London: Routledge. 1933. Monetary Theory and the Trade Cycle. London: Jonathan Cape. 2003. The Global Transformation Reader: An Introduction to the Globalization Debate. 2nd ed. Cambridge, UK: Polity Press. 1946 . Value and Capital: An Inquiry into Some Fundamental Principles of Economic Theory. Oxford: Clarendon Press. 1981 . Finance Capital. A Study of the Latest Phase of Capitalist Development. London: Routledge. 1862. Des Crises Commerciales et de leur retour périodique en France, en Angleterre et aux États-Unis. Paris: Guillaumin. 1889. Des Crises Commerciales et de leur retour périodique en France, en Angleterre et aux États-Unis. 2nd ed. Paris: Alcan. 1936. The General Theory of Employment, Interest, and Money. London: Macmillan. Korotayev, A., Malkov, A., and Khaltourina, D.
2006. Introduction to Social Macrodynamics: Compact Macromodels of the World System Growth. Moscow: URSS. 2009. The World Financial Crisis and its Impact on Russia. Voprosyekonomiki 1: 9–10. InRussian(Кудрин, А. Мировой финансовый кризис и его влияние на Россию. Вопросыэкономики 1: 9–10). 1976. The USA: From World War I to World War II. Moscow: Nauka. InRussian(Лан, В. И. США: от первой мировой до второй мировой войны. М.: Наука). 1907. Des Crises Générales et Périodiques de Surproduction. Paris: L. Larose et Forcel. 1993 [1893, 1894]. Capital. Vol. I–II / Transl. by D. Fernbach. Harmondsworth: Penguin Group. 2009. Developed and Developing Countries in the Age of Transformations. Moscow: ID ‘Klyuch-C’. InRussian(Мельянцев, В. А. Развитые и развивающиеся страны в эпоху перемен. М.: ИД «Ключ-С»). 1959–1964. Theory and History of Economic Crises and Cycles. Vols. 1–3. Moscow: Izdatelstvo sotsialno-economicheskoi literatury. InRussian (Мендельсон, Л. А. Теория и история экономических кризисов и циклов. Т. 1–3. М.: Издательство социально-экономической литературы). 2000. TheWorldFinancialMarkets. Trends and Tools. Moscow: Ekzamen. InRussian (Михайлов, Д. М. Мировой финансовый рынок. Тенденции и инструменты. М: Экзамен). 2005. Induced Investment and Business Cycles. Cheltenham: Elgar. 1981 . The Theory of Money and Credit. Indianapolis, IN: Liberty Fund. 2010. The Gold Rush. Forbes (Russian Edition) January: 49. InRussian (Мовчан, А. 2010. Золотая лихорадка. Forbes январь: 49). 2008. The Pension Capital Fund of Russia (PFR) in the Current Year Sustained 10 billion roubles of Losses from the Investment of Funds in the State Securities. Nezavisimayagazeta 19.12. URL: http://www.ng.ru/economics/2008-12-19/4_pensia.html. InRussian (Наумов, И. Пенсионный фонд России [ПФР] в текущем году зафиксировал убытки в 10 млрд руб. от размещения средств в государственных бумагах. Независимая газета 19.12. 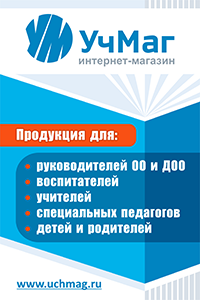 URL: http://www.ng.ru/economics/2008-12-19/4_ pensia.html). Platonova, I. N., Nagovitsin, A. G., and Korotchenya, V. M.
2009. Rearrangement of the World Monetary System and the Position of Russia. Moscow: LIBROCOM/URSS. InRussian (Платонова, И. Н., Наговицин, А. Г., Коротченя, В. М. Перестройка мировой валютной системы и позиция России. М.: ЛИБРОКОМ/URSS). Samuelson, P. A., and Nordhaus, W. D.
2005. Economics. 18th ed. New York, NY: McGraw-Hill. 2009. Macroeconomics. 19th ed. New York, NY: McGraw-Hill. 2009. Der Crash des Kapitalismus. Frankfurt: Campus Verlag. 2008. American Pension Capital Funds have lost 2 trillion dollars. Novyi region 2. 08.10. URL: http://www.nr2.ru/economy/199830.html. In Russian (Штефан, Е. Пенсионные фонды США потеряли два триллиона долларов. Новый регион 2. 08.10. Интернет-ресурс: http://www.nr2.ru/economy/199830.html). 1998. The Crisis of Global Capitalism. Open Society Endangered. London: Public Affairs. 2009. On the Causes of Current Financial Crisis. Voprosy ekonomiki 1: 40–51. InRussian (Суэтин, А. О причинах современного финансового кризиса. Вопросыэкономики1: 40–51). 1996. The Future of Capitalism: how today's economic forces shape tomorrow's world. New York, NY: Morrow. 1976. Reshaping the international order: A report to the Club of Rome. New York, NY: Dutton. 1838–1857. A History of Prices and the State of the Circulation. London: Longman. 1954. Periodic Industrial Crises. Annals of the Ukranian Academy of Arts and Sciences in the United States 3/3: 745–802. 2008 . The Periodical Industrial Crises. Moscow: Directmedia Publishing. In Russian (Туган-Барановский, М. И. 2008 . Периодические промышленные кризисы. М.: Директмедиа Паблишинг). 1990. Histoire economique mondiale 1945–1990. Paris: Academia Duculot. 1987. World-Systems Analysis. Social Theory Today (pp. 309–324). Cambridge, UK: Polity Press. 2005. The Paradox of Thrift: Excess Savings are Storing up Trouble for the World Economy. Financial Times 13.06. 2007. Concept of Offshore Financial Centers: In Search of an Operational Definition. Washington, DC: IMF. 2010. The World Central Bank. As a Result of the Crisis the IMF can become a Global Financial Regulator. Who Makes Profit of it? RBK. The Final Issue 1: 46–49. In Russian (Зо- тин, А. Всемирный Центробанк. В результате кризиса МВФ может стать глобальным финансовым регулятором. Кому это выгодно? РБК. Итоговый выпуск № 1: 46–49).